£120 half price when purchased with a Violorama instrument. Includes one RCA to XLR cable with built-in preamp/buffer. 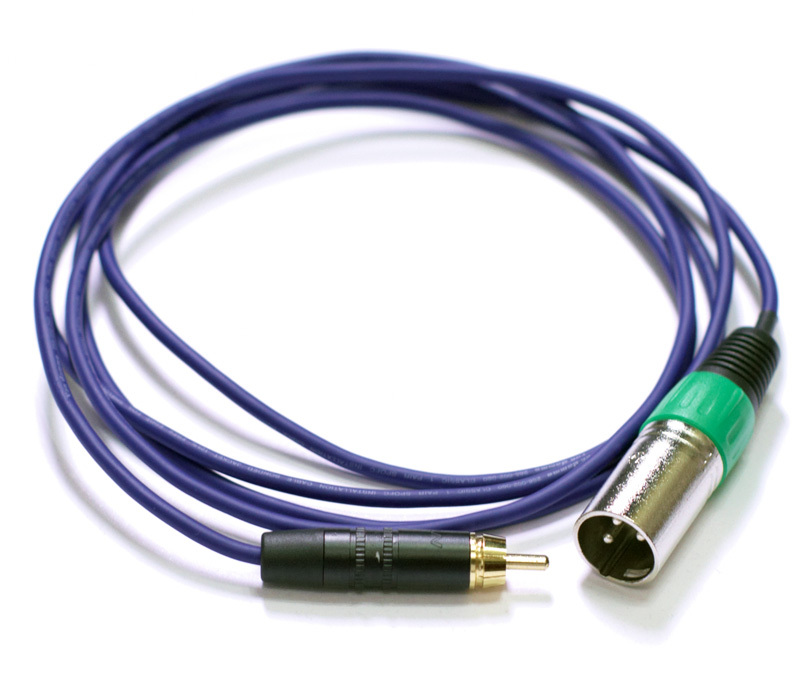 Additional preamp/cables £40 to customers who have also purchased the whole pickup system, £55 as a standalone item. I make a pickup system for violin family instruments that mounts in the soundpost. It's not a new idea, a few others have done this, but I don't know of anyone else currently offering this in the UK. A soundpost pickup is more complex to make and fit than other systems, but offers significant advantages over all other ways of amplifying bowed string instruments. A good true condenser mic offers by far the best sound quality, but is impractical in many gigging situations where loud levels are required as it is prone to feedback, its also difficult to maintain a constant position for the mic. Pickups that mount in the bridge are feedback resistant, but don't pick up the sound of most of the instrument, and generally sound one dimensional and characterless, and often harsh and shrill as well. Pickups that mount on the belly of the instrument can offer a somewhat more natural sound, but they still pick up almost nothing from the back, and there are difficulties mounting a pickup on the belly without damaging the finish, muting the acoustic tone, and/or looking ugly and obtrusive. The Violorama pickup mounts in the soundpost, the wire exits the instrument through the endpin, and a jack is mounted on the chinrest for the output. At a casual glance it is not apparent that the instrument even has a pickup fitted. The acoustic tone of the instrument is unaffected by the pickup since it does not mute the belly or bridge. In theory you'd think it might affect the transmission of sound through the soundpost, but this appears to be inaudible in practice if it happens at all. 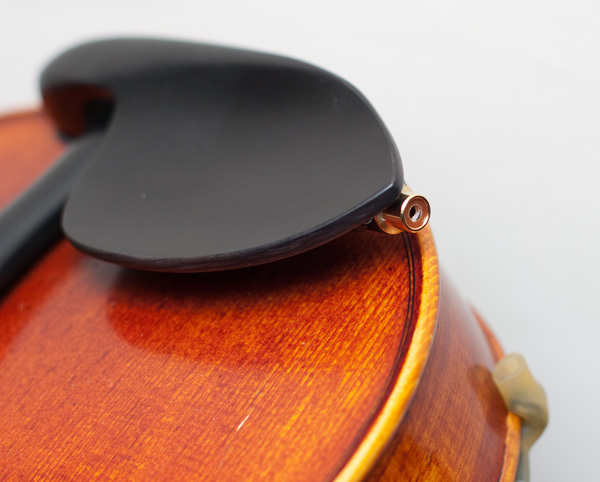 Although the system has to be fitted professionally, it requires no modifications to the instrument itself, since the only parts that are changed are the soundpost, endpin, and chinrest, which are all replaceable, so the fitting of the pickup system is completely reversible. The pickup itself is a piezo ceramic element, and these require careful shielding, preamplification and signal handling. My system includes a custom preamp cable which plugs into any standard microphone input with phantom power. I think that these are the most balanced and natural yet focused pickups available for bowed strings that are suitable for playing with loud amplification. These won't compete for naturalness of sound with a condenser microphone, (no pickup can!) 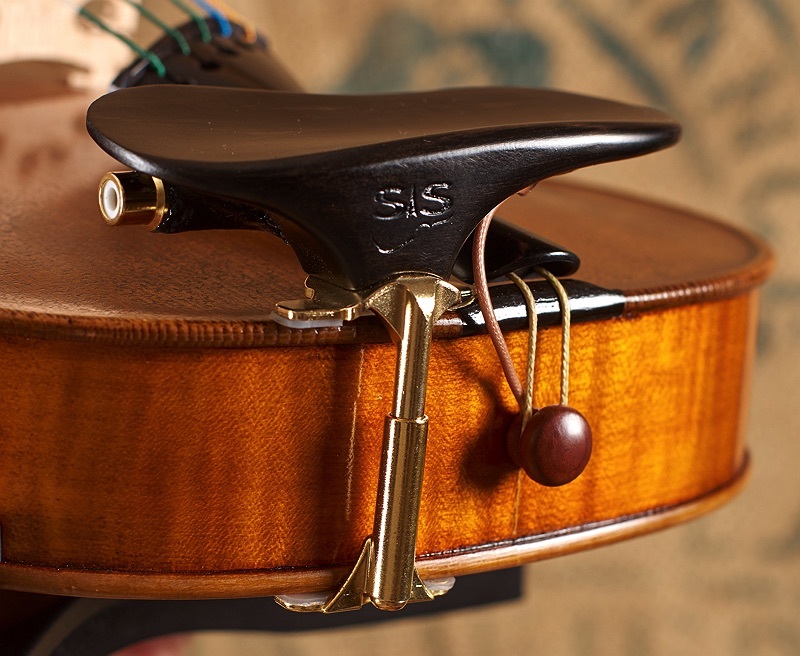 but they will sound better than the vast majority of contact pickup systems of any type available for violin family instruments. They can of course be combined with a clip-on or stand mounted condenser mic at a medium level gig, to give the sound engineer more options in amplifying the fiddle. The preamp buffer is built into the cable, and feeds a standard phantom powered mic input. It is a cable, a preamp buffer, and a DI box all in one! • The preamp is powered by the phantom power so requires no batteries to go flat at inconvenient moments. • Uses a Fet input for warm and natural sound. • The most important parts of the preamp are built into the plug at the instrument end, so you don't have cables carrying sensitive high impedance signals to pick up hum and noise. • The preamp is entirely built into the cable, so you can't even see it is there! 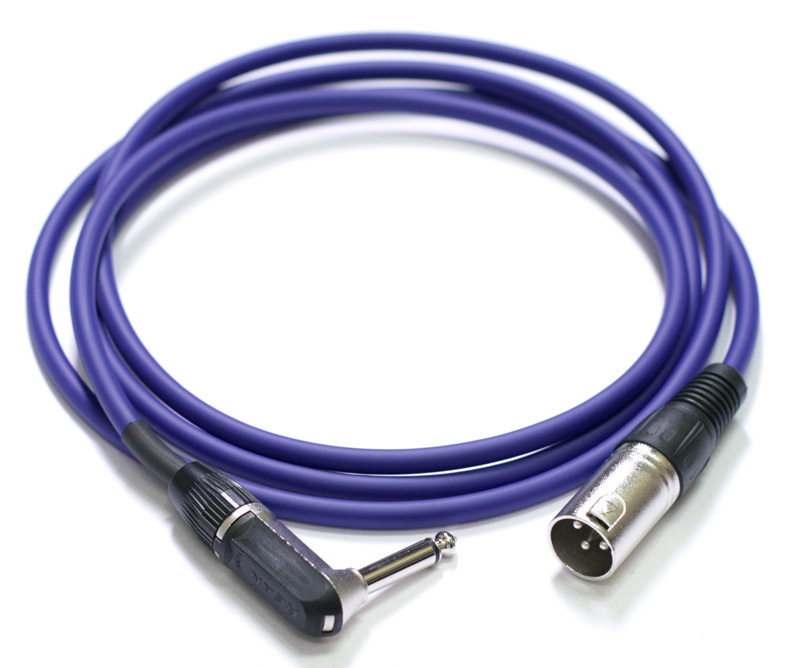 The preamp cable is 2m long - length is easily extended with a standard mic cable. • Made with quality Van Damme or Evolution cable and robust professional quality plugs. • No awkward boxes on the floor to trip over. No batteries to go flat. • Also works with other passive pickups, magnetic or piezo pickups of most types. Also suitable for guitar, mandolin, bouzouki, or any other instrument with a passive magnetic or piezo pickup. 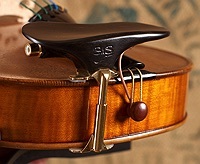 • Available with RCA jacks for our violin pickup system, or guitar style jacks for other systems. • Available with 3mm lightweight cable for fiddles, or heavy duty 6mm microphone cable for guitars and cellos. contact me to buy or for more information.